The problem is that we view estimates in different ways. Business likes to view estimates as commitments. Developers like to view estimates as guesses. The difference is profound. On a good number of occasions, I have found myself taking a good hiding, due to the estimates I have offered up on project work; normally where you find the estimate has been relayed to the customer as a concrete guarantee. In many cases, both parties should have shouldered more responsibility for this disparity; as the developer, I should have been more explicit as to what my estimates actually meant. In turn, those relaying information to the customer should have probably dug deeper into the heart of the matter, to extract further raw information as to the ‘likelihood’ that something could be achieved by a certain time. Good dialogue and communication is a key factor, of course, as is making sure that you are always clear when you are providing an ‘estimate’ and making a ‘commitment’. This is a subject that I always find myself circling back to and that I truly want to get better at, plain and simple. 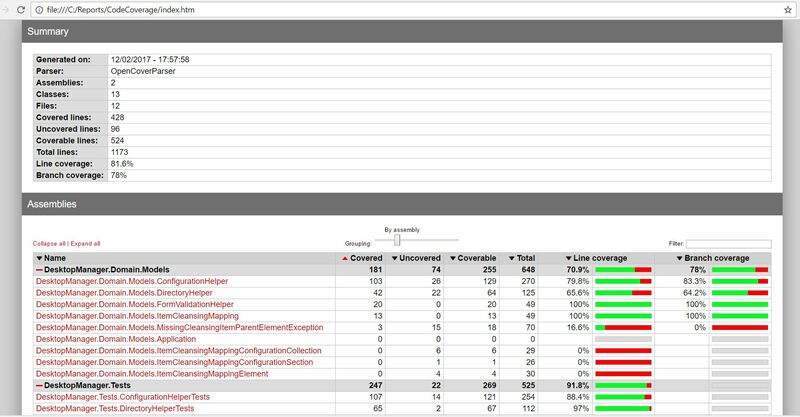 For that reason, this post will be geared towards looking at one potential strategy for improving the estimation process; the Program Evaluation and Review Technique (which is covered again pretty well in ‘The Clean Coder’). The Program Evaluation and Review Technique (PERT) encapsulates an analysis technique that is used for more accurately estimating large and complex projects. The basic idea is to reveal a distribution, or create a probabilistic structure, to reduce inaccuracies in estimates and attempt to account for uncertainty in a project’s schedule. It was created in 1957 for use by the U.S. Navy Special Projects Office to manage the Polaris nuclear submarine project. In short, the process involves identifying the likely values for the minimum time and maximum time a task will take whilst pinpointing the ‘most likely’ estimate for a task’s completion, from observing a calculated distribution. Uncertainty is factored in using some standard deviation values. O: Optimistic Estimate (known as the ‘wow, how the hell did I do it that quick!’ estimate). N: Nominal Estimate (the estimate with the greatest chance of being successful, or the correct estimate essentially). P: Pessimistic Estimate (the doomsday estimate, where everything goes wrong except the Earths tectonic plates opening up to consume you, as you code the feature). The first figure, ‘O’, involves thinking about the ‘pipe dream’ figure, i.e. if you could type the code at 1000 thousand lines a minute, making zero errors, and everything was to plug into place and work the first time. If Chuck Norris was coding the feature, this would be his estimate (this should have less than a one percent chance of being the actual time taken in order for the calculation to be meaningful). Next up, come up with the figure for N, which is defined as the estimate with the highest ‘chance’ of being the correct one. On a distribution bar chart of estimates, this would be the highest bar. Lastly, define P, which should be presented as the ‘worst case’ scenario estimate, stopping short of accounting for absolute catastrophes (again, this should have less than a one percent chance of being the ‘correct’ estimate, when all is said and done). Wiki Definitions for PERT Calculation Facets. Let’s observe a detailed example to get to grips with this fully, concentrating on how some extra elements come into play for a series of tasks. 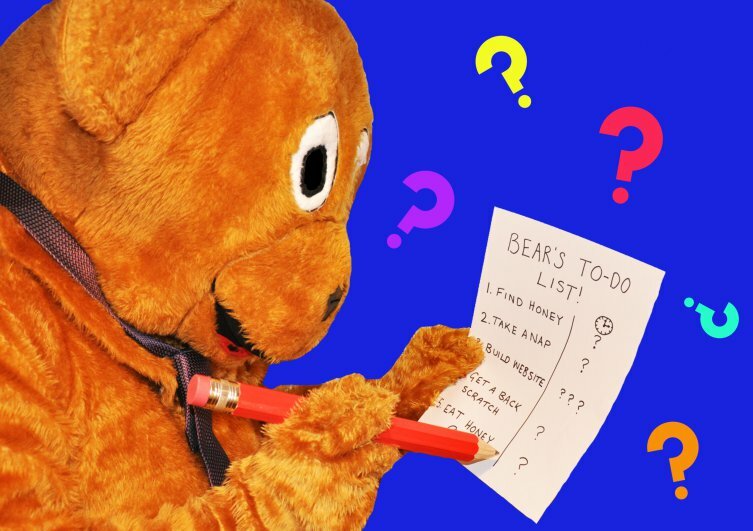 SIDE NOTE: Breaking a large project or piece of work into smaller tasks can often be a good strategy for mitigating risk up front and weeding out bugbears ahead of time. That comes to a grand total of 14 days. We can surmise from this that there could be 2.8 days, so let’s say 3 days, of uncertainty to factor in; therefore Ryan could well take somewhere in the region of 25 days to complete the series of tasks, or possibly even 28 days (if we double the time calculated for SD across the sequence). However, we know from this that anything over these values is an unlikely outcome. We are a far cry from the original estimate of 14 days to cover all of the tasks. The general premise is to add some pragmatism and realism to the whole process of estimation. I have, on many occasions, estimated too optimistically and then have struggled to hit the mark; this is just one technique for attempting to mitigate that risk by being more methodical in the estimation process. I hope you’ve enjoyed this primer and happy coding, estimating, etc. Until the next time! 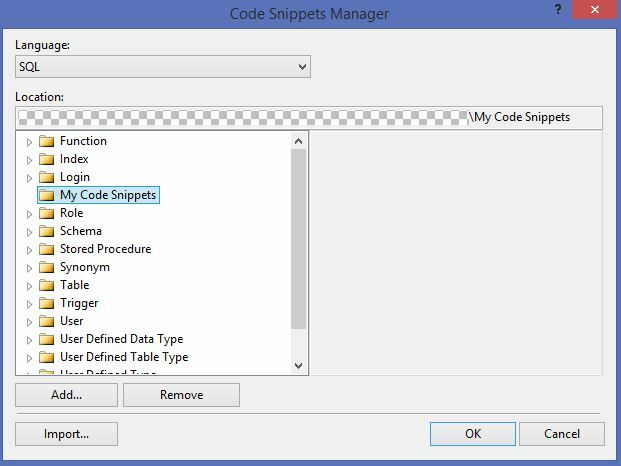 This post forms part of a mini-series that I’d like to do surrounding the topic of code snippets. 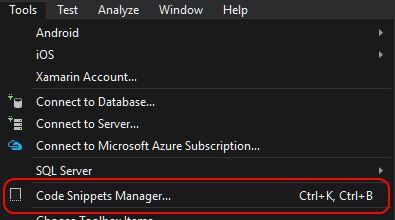 I have, for some time, been using these merrily within Microsoft SQL Server (which I’ll cover) but have neglected to look at creating custom snippets in every other environment I am privy to. Time to put that to a stop :-). 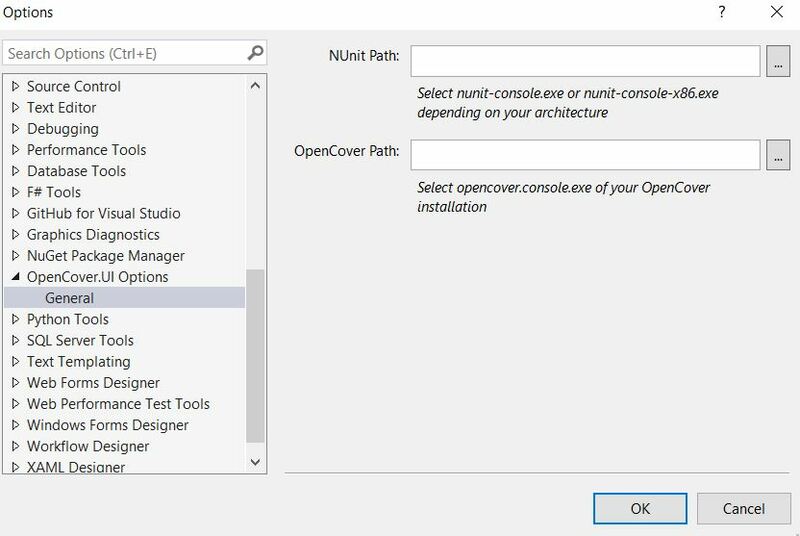 The following is a small demonstration of how to knock up a simple, custom code snippet in C#. Along the way, I’ll discuss a known limitation of creating snippets for this language specifically (as opposed to Visual Basic, for example). With any luck, this will get you to investigate the topic if you haven’t already done so. Once you’re primed and at the start line you should be pushing out snippets in no time. 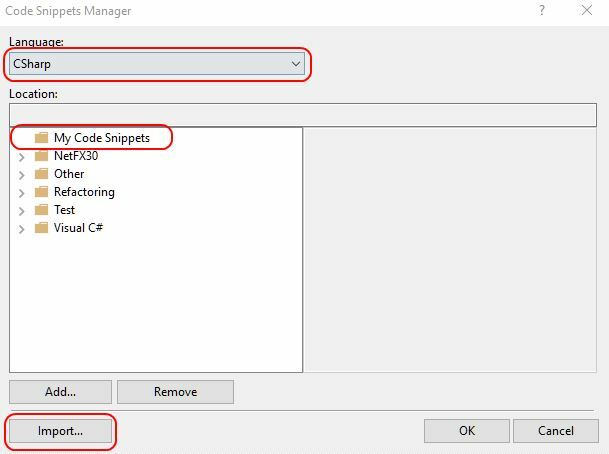 You’ll need to craft your own file with the ‘.snippet’ extension to begin, where the content takes the form of standard XML. The one I have built for this example is below; I’ll discuss it as we move forward. 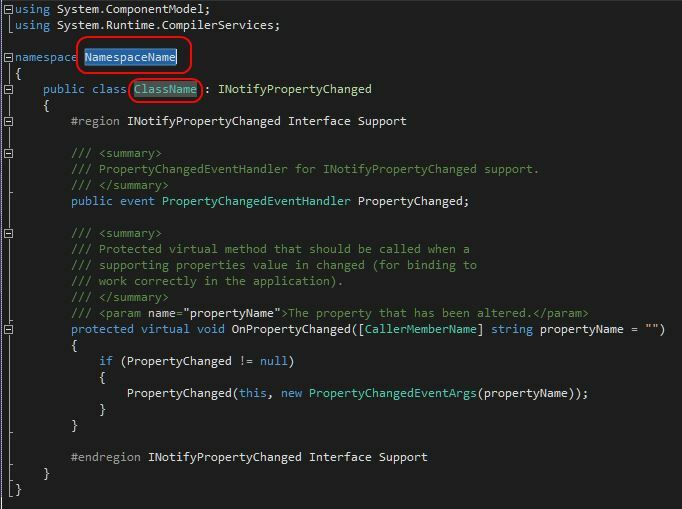 /// PropertyChangedEventHandler for INotifyPropertyChanged support. /// work correctly in the application). After a wrapping CodeSnippets element, you construct a CodeSnippet containing a Header and Snippet element, at a bare minimum. 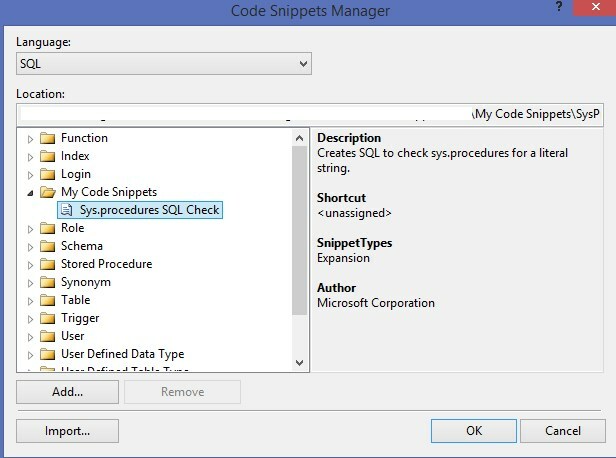 Within the Header you are able to express metadata relating to the snippet, such as the Title and Author, alongside the Description (which shows as an IntelliSense tooltip on use) and the actual Shortcut value associated with bringing the snippet into scope, which is typed directly into the IDE. The Snippet element contains a Code element and is, as you would expect, where you place your physical code ‘slice of goodness’. It’s important to place your code within the square brackets of the CDATA declaration. 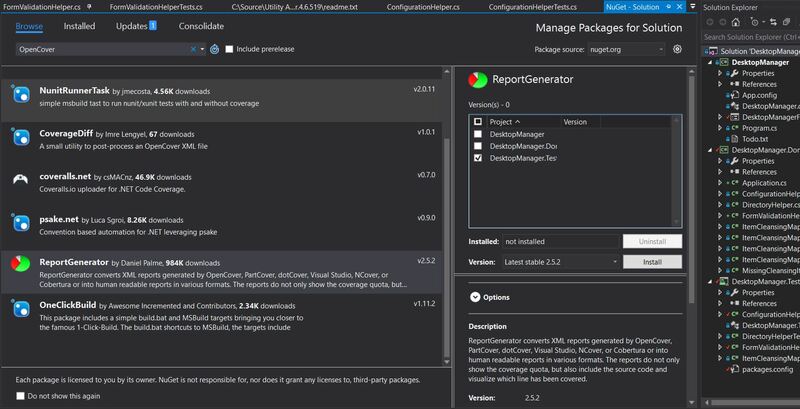 Not the most useful example, as within Visual Studio you already have the ‘mbox’ snippet covering this (which uses a fully qualified expression for MessageBox.Show), but illustrates the most basic form of a snippet nicely. If you want placeholders in your code, that can be accessed and changed sequentially by using tab after you fully bring the snippet into scope within the IDE, you need to create a Declarations element under Snippet. Here you can create a Literal, to be altered by the snippet user on-the-fly, with tooltip and default values to boot. Embed these in your code snippets by copying the ID element value into the code wrapped in ‘$’ symbols (again, as shown above in the more detailed example). 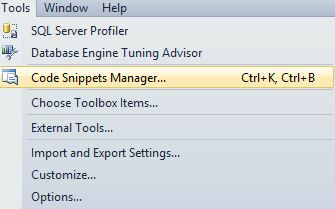 Accessing the Code Snippets Manager. 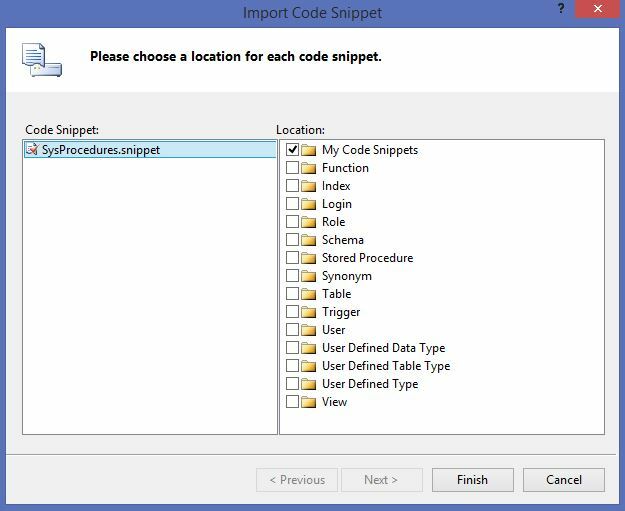 Code Snippets Manager Import Dialog. 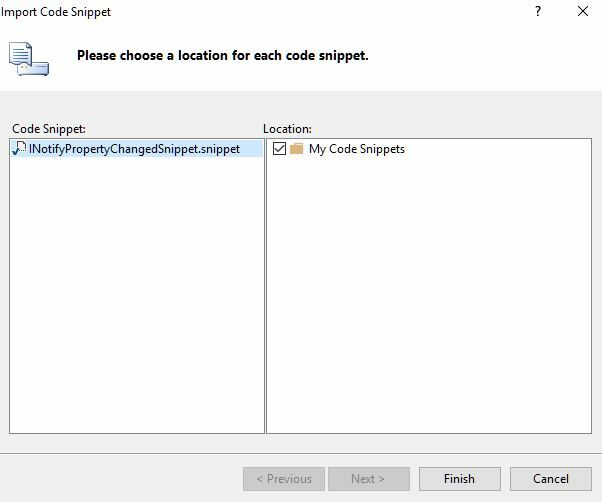 Your snippet file will be validated at this stage and you will be notified if the markup is malformed/invalid. As easy as pie. 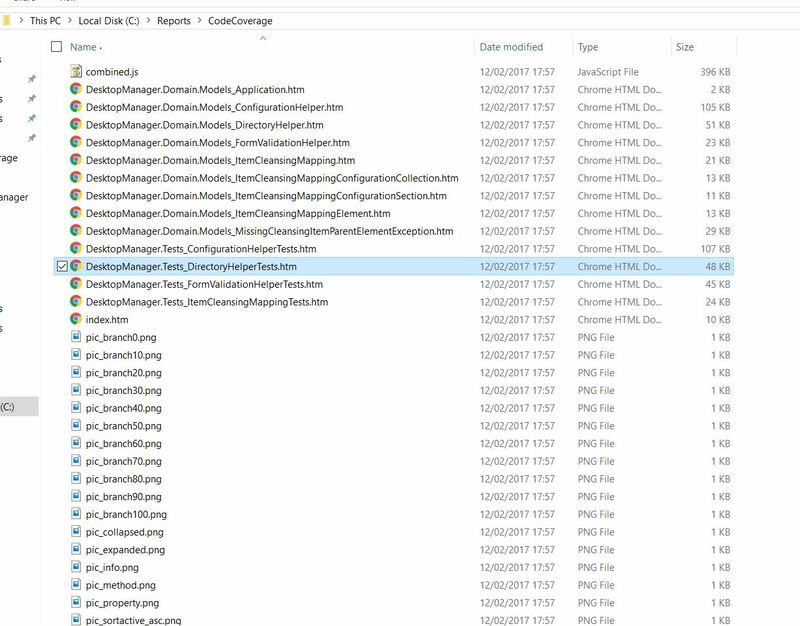 The snippets are imported, so let’s use them. 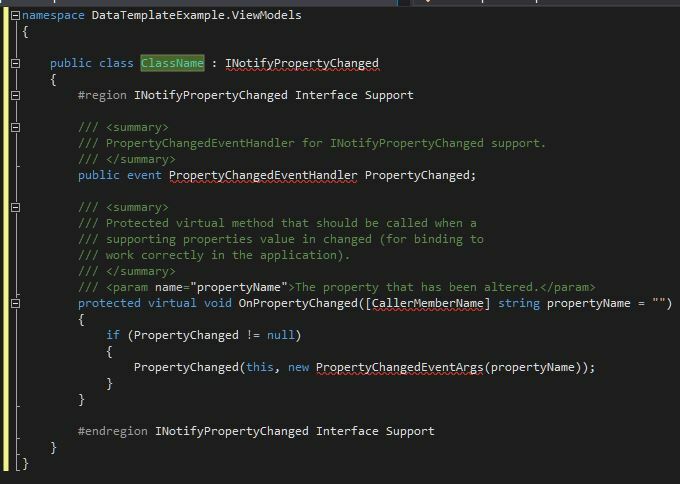 My test bed snippets file provides two snippets for generating a stub class definition, implementing the INotifyPropertyChanged interface (which comes into play when constructing MVVM applications in WPF, for example, so that a client can be notified (and adjust) based on an underlying property change (in a binding scenario)). That’s all for now, thanks for reading through and I’ll catch you next time!